This informative exchange will illustrate the collaborative efforts behind affordable housing design. A brief presentation will be followed by discussion. Refreshments provided. This discussion will focus on the process of designing for affordable housing. Studio Balcones has worked on myriad Foundation Communities Projects with H+UO Architecture and will host a collaborative event with all three parties regarding the challenges and opportunities tied to designing affordable housing in Austin. We hope to better prepare designers for creating more spaces that are equitable, affordable, and maintainable. 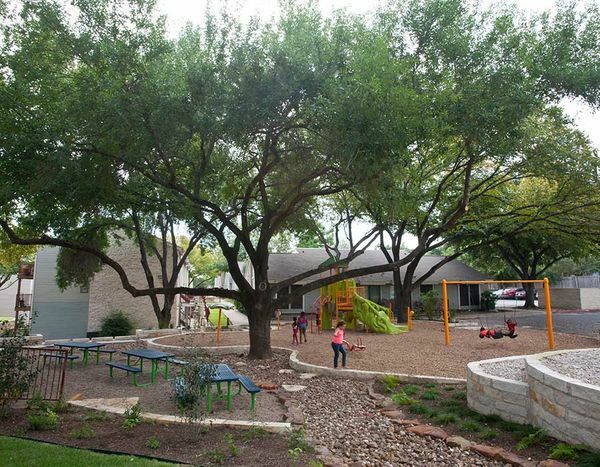 Oftentimes these projects have a small budget and an even smaller maintenance staff, but the final product is bigger and more rewarding than we could have ever imagined. Everyone deserves places to play, walk around, and enjoy respite indoors and out. Let us open the door to designing more of these spaces in and around Austin.